In 2019 we have developed a new Bioinformatics oriented online course that uses the Biostar Handbook to radically improve bioinformatics education and research. The Biostar Handbook introduces readers to bioinformatics, the scientific discipline at the intersection of biology, computer science, and statistical data analytics dedicated to the digital processing of genomic information. The Biostar Handbook delivers simple, concise, and relevant information for those looking to understand the field of bioinformatics as a data science. It is a comprehensive, practical handbook that covers all major application areas of bioinformatics. 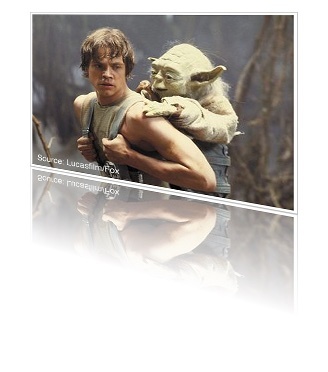 We are continuously updating the Handbook adding new chapters and sections to it. Subscribe to our email list to be notified of these changes. Subscribe to the Biostar Handbook! I teach the BMMB 852: Applied Bioinformatics course in resident instruction in the Fall and online during the Spring semester. Typically the course fills up very quickly once registration opens so please plan accordingly. 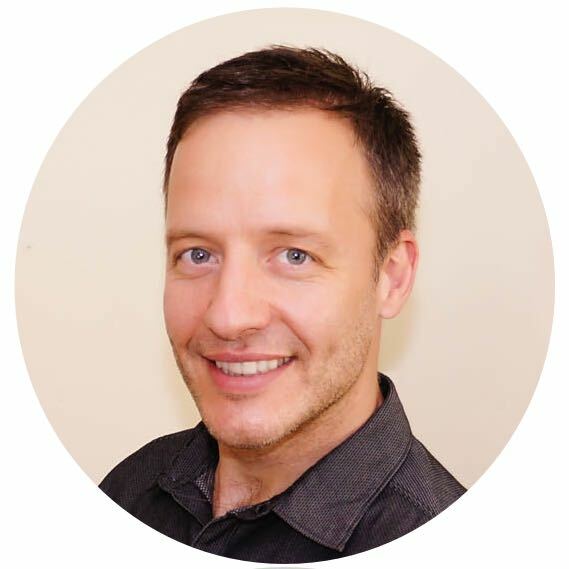 I have worked and published in three distinct scientific fields: bioinformatics, computer science and statistical physics. 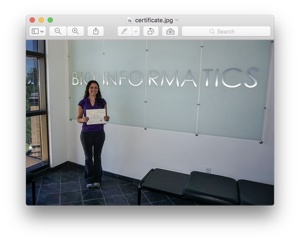 Lately I have been working mostly in collaborations via the Bioinformatics Consulting Center. In this capacity I advise and meet with students from a wide range of departments. 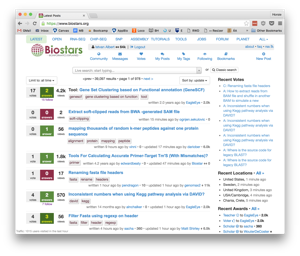 Five years ago I have created the Biostars: Question and Answer website that runs on an open source software and aims to support and sustain scientific communities. 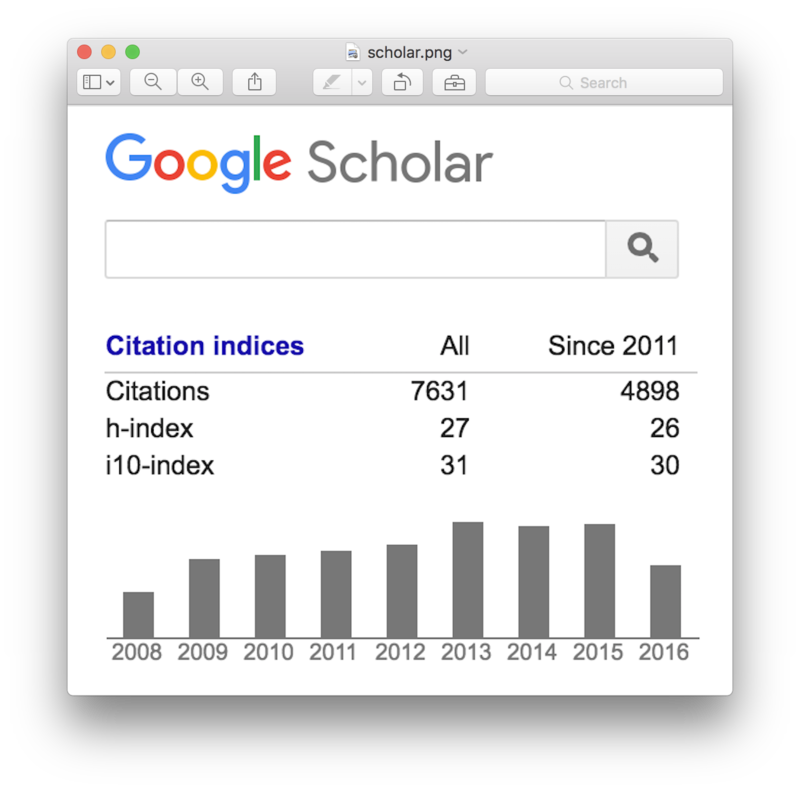 Today it serves over 2 million users a year and it has become the most visited bioinformatics information resource in the world. Over past five years Biostar powered sites met the information needs of over ten million users and served over fifty million page views. Writing code is one of my passions. Even this website is generated with a custom software that I have written see: pyblue. I serve as the director of the Bioinformatics Consulting Center (BCC) at Penn State. Our center offers bioinformatics data analysis services that cover multiple application domains of high throughput sequencing. Services range from routine data manipulation steps to developing novel, domain specific methodologies. Our center is also in charge of distributing and managing the sequencing data produced by the Penn State Genomics Core Sequencing Facilities. Visit the Bioinformatics Consulting Center for more details.